Rock-am-Ring and Rock-im-Park joined the game and in turn dropped a fair share of bands including -you guessed it- headliners. Turns out Slipknot will pull a Parkway Drive and set fire to the stages of most European festivals next summer. Not that we mind! 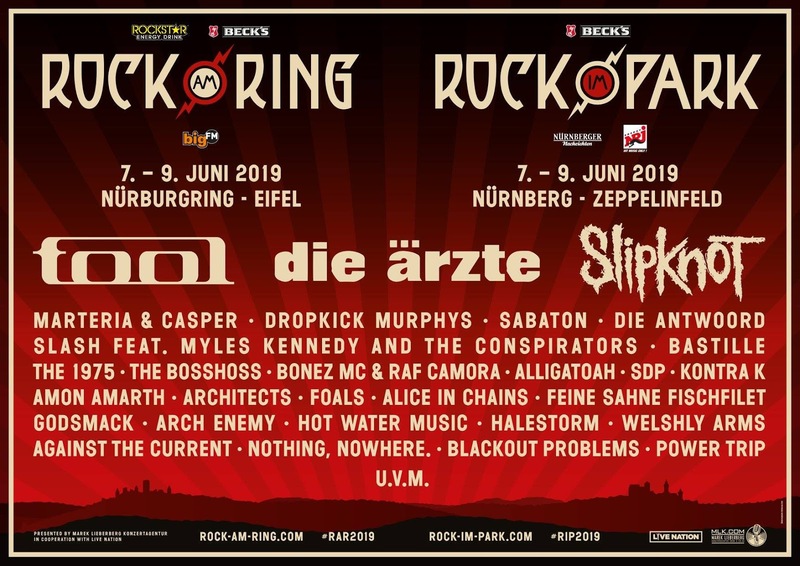 Next to Slipknot, Tool and Die Ärzte are among the higher ranks of the announcement, followed by Marteria & Casper, Slash and Myles Kennedy, Dropkick Murphys, Sabaton, the 1975, Architects, Amon Amarth, Alice In Chains, Hot Water Music, Godsmack, Arch Enemy, Power Trip and more. Rock-am-Ring and Rock-im-Park take place on 7-9 June in Nurburgring-Eifel and Nurnburg-Zeppelinfeld respectively. For tickets and info, visit rock-am-ring.com and rock-im-park.com.